Thompson Suburban Dental Laboratory is dedicated to our role as your partner in providing predictable, aesthetic, restorative solutions. 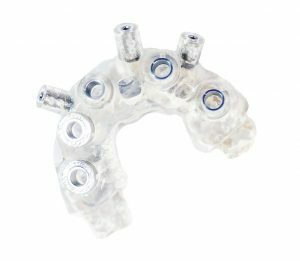 Proper case planning is an essential component of a successful treatment strategy that enables you to achieve consistent, predictable results. 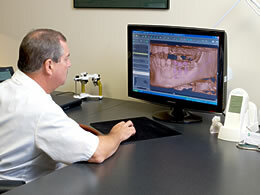 We utilize planning software by 360Imaging®, coDiagnostiX™ and NobelClinician™. 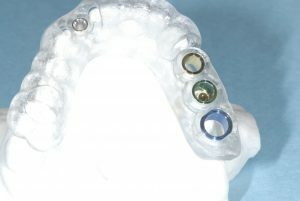 Whether you are prescribing a full arch case or a single tooth replacement, pre-treatment planning can provide the most customized approach to your patient’s needs. We can assist you in proper material selection, restorative design options, price quotations, parts ordering and clinical appointment scheduling. At Thompson Suburban Dental Lab, we provide two types of surgical guides. 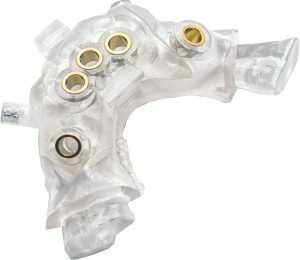 Conventional Surgical Guides and CT guided surgical guides. For a CT guided surgical guide, please contact the lab to set-up 360 Courier to send your CT to our lab. Please make sure that you provide us with the implant system that will be placed since the CT guided surgical guides will be custom made for that implant system. Get in touch with our implant department for any help with implant case planning!